August is here and it sure has been off to an exciting start! The biggest time of the year on the island, Carnival has been in full-swing, with today being the festival's final day. Starting at the end of July, morning to night, the action has been non-stop. Boatraces, parades, calypso contests, BBQs and beach parties galore, the feeling of celebration during Carnival (AKA Summer Festival) is infectious. 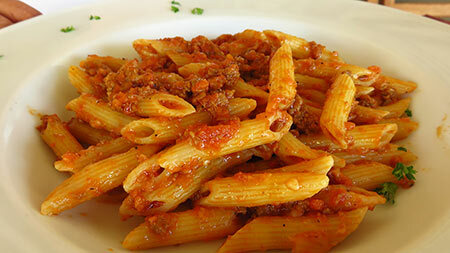 The most memorable day of the year so far? August Monday, of course! 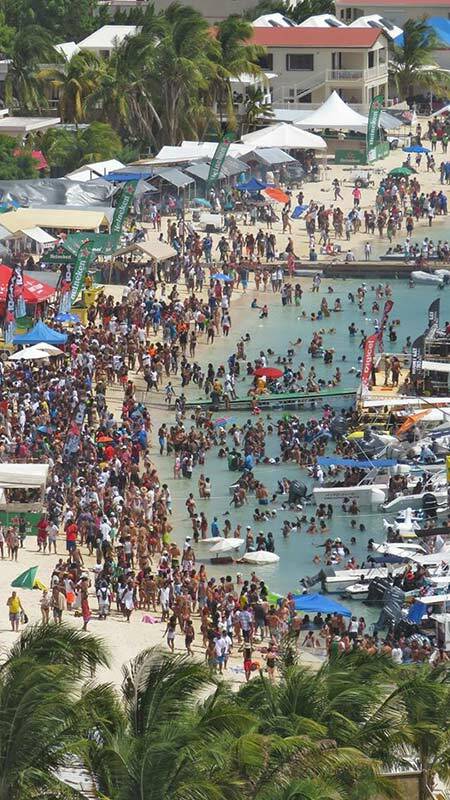 The day when the parties start at 4am and last well into the next day, Sandy Ground was transformed into a hopping beach party scene, one of the Caribbean's biggest. 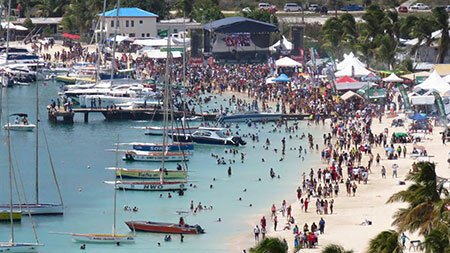 Through all of the parties and celebrations, the boat races, Anguilla's national sport, are truly what define Carnival. 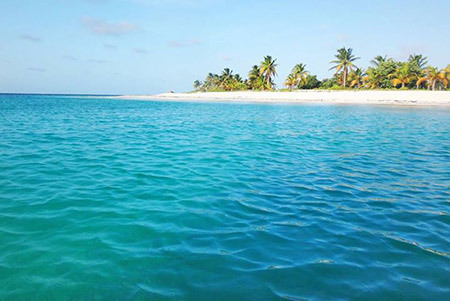 Sandy Ground's August Monday boat race, Meads Bay's August Thursday boat race and the Champion of Champions (taking place today) are three of the most important boat races of the year. 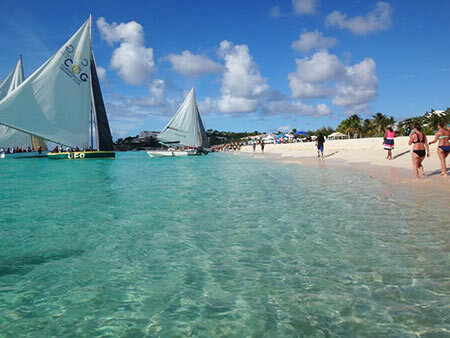 For an inside look at boat racing, we tagged along with Anguilla's sailors to see more on what goes into preparing for a boat race and to get the thrill of being onboard an Anguilla racing boat. 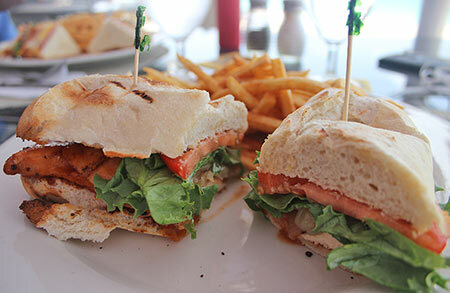 Outside of Carnival, what else has been going on in Anguilla? Just a couple of weeks ago, Tequila Sunrise Villa hosted Michelin-starred NYC Chefs Marc Forgione and Alfred Portale and top Anguilla chefs, Marc Alvarez, Carrie Bogar and Dale Carty, all in the name of a foundation with a deeply important cause, Cookies For Kids' Cancer. "The week was nothing short of amazing... 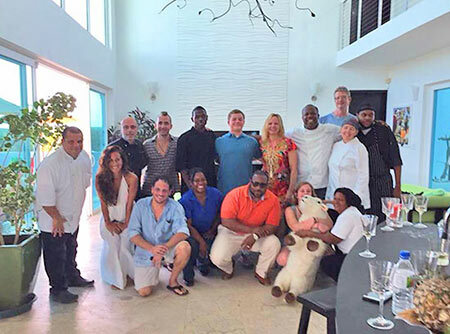 The Chefs, incredible... Tequila Sunrise Villa, majestic... We feel so humbled," Paul Simpson reminisced after returning to New Jersey from the one week stay at Tequila Sunrise Villa in Anguilla. It had been a week of celebrations after being top bidders on an auctioned prize at Cookies For Kids' Cancer's fundraiser gala at New York's The Waterfront in February, 2015. The prize? A ticket to Tequila Sunrise Villa and a top NYC-AXA chef showdown with world-class chefs preparing meals in-villa each night! 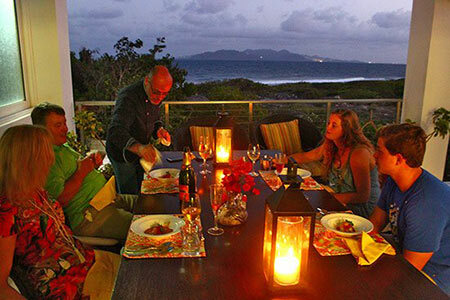 Their days at Tequila Sunrise Villa were peaceful and serene, spent gazing out to the Caribbean Sea, St. Martin and St. Barths on the horizon, sunning on a sandy cove just a short stroll away, with everything taken care of by the villa's stand-out staff. By night? The action began! 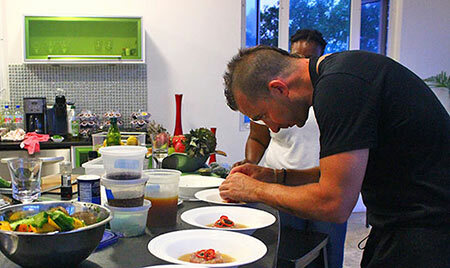 Armed with five-star menus, the freshest island ingredients, fine wines and professional staff, a lighthearted, jovial culinary competition ensued amongst the visiting and resident chefs. 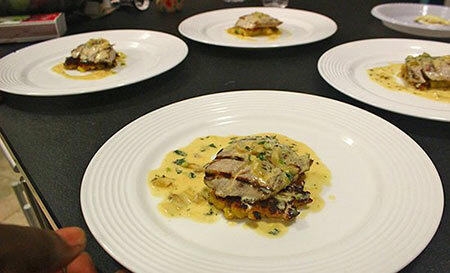 Sweet corn tortellini in a chanterelle mushroom sauce... chicken breast atop a corn fritter... even an outstanding t-bone steak prepared on a charcoal grill flown in from NYC! It was a tremendous week, all in the name of a foundation that has made astounding strides in curing pediatric cancer, Cookies For Kids' Cancer. Today, they have discovered treatments that would have saved Gretchen Witt, the founder's son, Liam. 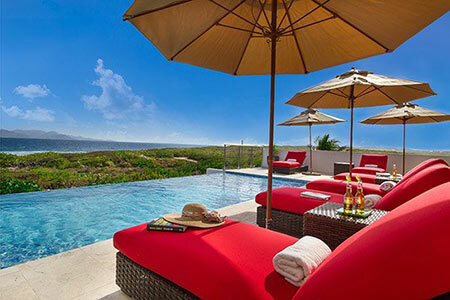 These treatments, too, will now be made available to children in Anguilla. 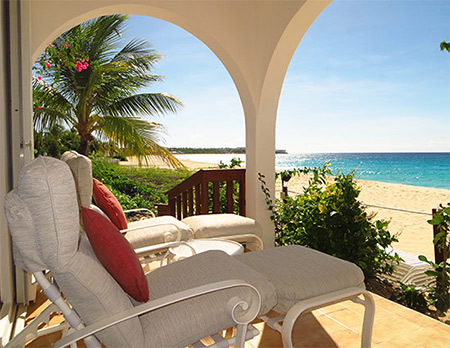 Cookies For Kids' Cancer's (CFKC) research and work continues, and Tequila Sunrise Villa will be offering their villa as auctioned prizes in the years to come and continue to offer 10% off on direct rentals from CFKC and for being a good cookie, another 5%. A huge congratulations to everyone who pitched in to make this event a reality. Read the heartwarming story here. 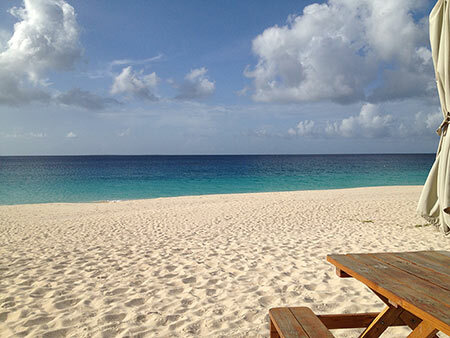 The good news continues this month with Caribbean magazine, Caribbean Journal continuing to highlight Anguilla as a leading Caribbean destination. 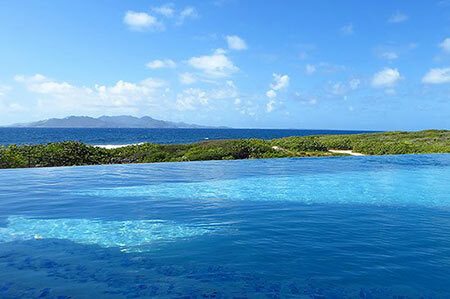 They recently released their definitive list of best Anguilla hotels. 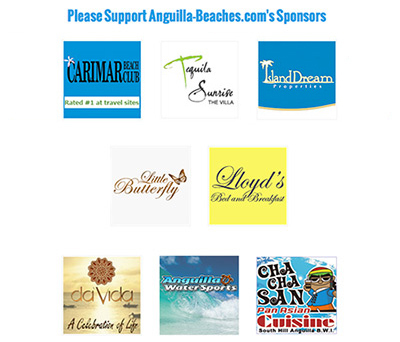 It was no surprise to see one of our favorites, the best value hotel in Anguilla, Carimar Beach Club gracing their list! 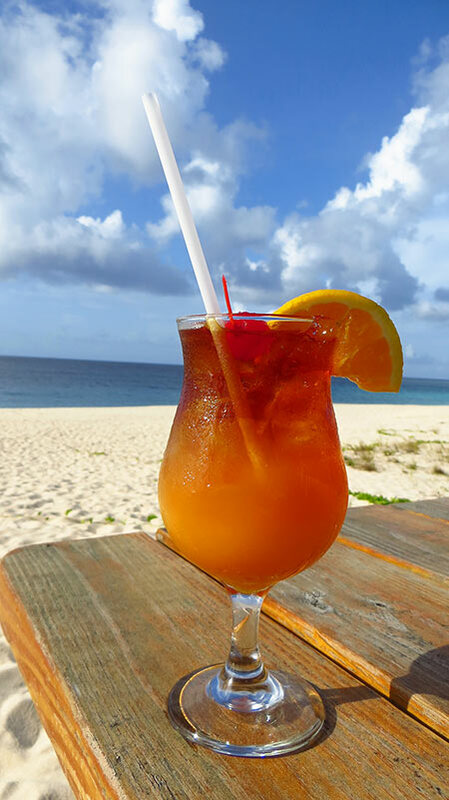 With Carnival winding down, and as we approach mid-August, many businesses on Anguilla are getting ready to close their doors for the season as they repair and rejuvenate for the coming high season. Two of the best on the beach who are staying open? 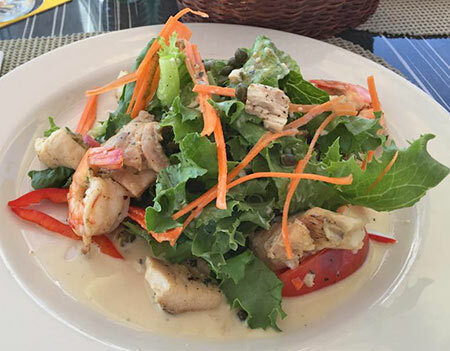 On big and beautiful Meads Bay, there's no beating this family owned restaurant. 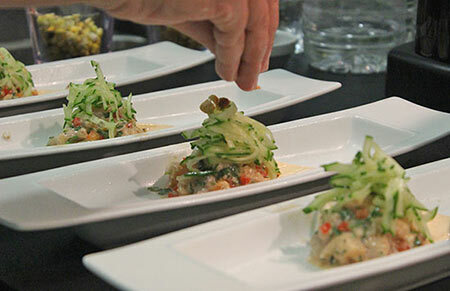 ... and the service is always personable and efficient. Another pick for a quiet day at the beach? Elite in idyllic Island Harbour. 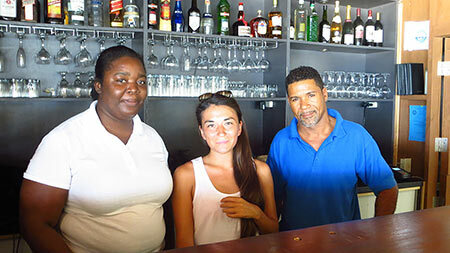 ... in Island Harbour's peaceful atmosphere, complete with views out to Scilly Cay and palms swaying overhead, Felicia and her team at Elite always make you feel right at home. Now that we're approaching the height of the off-season, the question is "what next?" Calm and still, the beaches sparkle a special shade of turquoise this time of year, and you usually have them all to yourself, too. 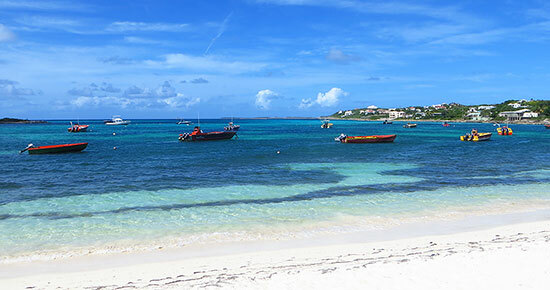 Rent a stand up paddleboard from Anguilla Watersports and explore them from the sea, or walk them tip to tip. Wishing you a wonderful rest of the summer & a happy start to fall!